We want to share our secret with you. 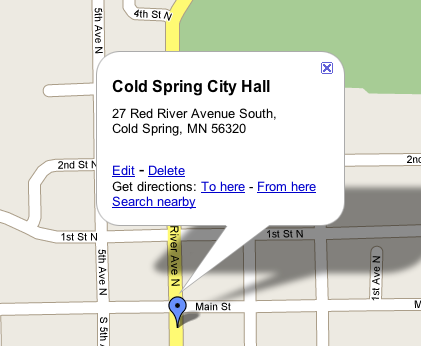 Take a look and see the many great features that City of Cold Spring has to offer. Get started here at our website with information on city departments, services, news, events, policies, meetings, recreation and more. Cold Spring, with an eye to the future, is maintaining that special " Hometown Pride" while experiencing an orderly growth. A drive through city streets shows a safe, attractive environment with ‘down home’ friendliness. 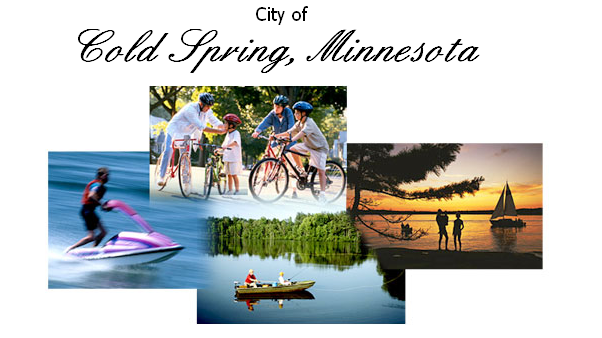 We invite you to visit us and see that Cold Spring is not just a location but a destination.